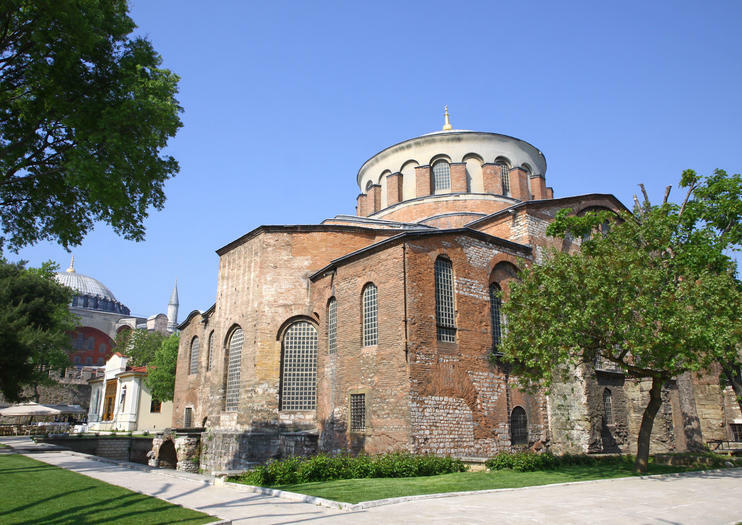 Hagia Irene was the first church built in Constantinople, though the current structure dates back to the 6th century after fires and earthquakes ravaged the previous churches on the spot. It was used as an Orthodox Church and was the only church in Istanbul not turned into a mosque after Ottoman Turks conquered the area. Instead, it was used as a storage facility for artillery and other military items. Therefore, it still has much of its 6th-century look. Inside, you won't find a traditional museum as the church itself is the main attraction. What you will find are the remains of a spectacular piece of Byzantine architecture, including the original atrium. Also take note of the still-intact apse with its five rows of built-in seats and the black cross drawn on the wall dating back to the iconoclastic period of the 8th century. The structurally sound dome in the church has a marvelous acoustic quality to it and concerts are often held in Hagia Irene, which is a truly memorable way to experience the ancient church. Hagia Irene is located by the entrance to Topkapi Palace, but has a separate entrance fee (20 TL). Hagia Irene is open every day except Tuesdays. Shoulders and knees need to be covered in order to enter. Head back in time and discover the old world of the Sultanahmet area during this full-day small-group guided walking tour in Istanbul. This tour explores the amazing UNESCO World Heritage-listed Hagia Sophia Museum and the Blue Mosque which exemplify why Istanbul is the city where east meets west. Enjoy a walk through the famous Topkapi Palace where Sultan's roamed and harems flourished. Plus, spend time observing the Hagia Irene’s Byzantine architecture and stroll through the Grand Bazaar to witness handicrafts created by local artists.